Ishigaki, an island in Okinawa, Japan is well-known for its white beaches and crystalline waters. Here you can snorkel, surf and dive. 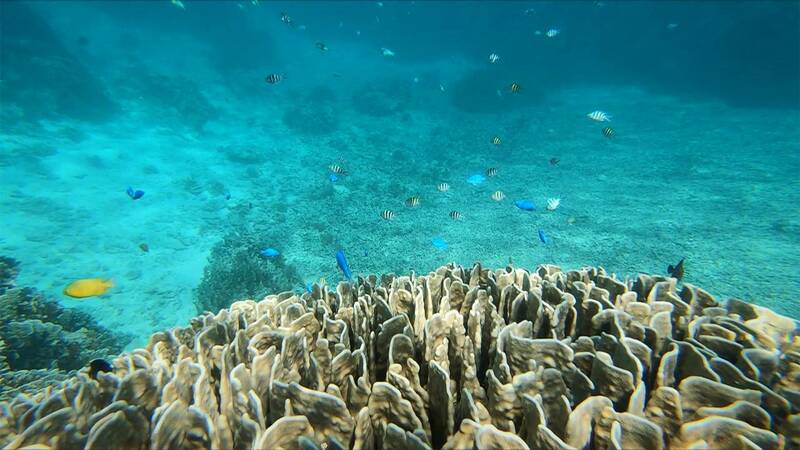 Its main attraction is the coral reef. It is a special coral reef, the one that frames these islands. Its base colour is blue, a characteristic that gives truly magical reflections, for which it is particularly appreciated by tourists from all over the world. The love that binds the island's population to its resources is very profound. "Our Blue Coral's special charm is that it doesn’t change, it has always been here. It protects the marine environment. And the people of the island are very proud of all this. This is a spiritual healing place for tourists,” says snorkelling guide for Sea Top on Ishigaki, Masao Shinzato. Below the surface of the sea there’s an incredible multitude of fish. June, July and August are the best months to really appreciate these islands but the best season continues until at least the middle of October. Thanks to its oceanic subtropical climate, the Okinawa archipelago enjoys an average annual air temperature of 23C and water around 25C.